Get great values for everyday business printing as reliable HP LaserJet toners cartridges can save you time, minimize downtime and deliver results you can count on. Produce bold, crisp text and sharp black-and-white images every time you print. 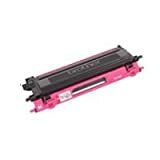 This easy-to-use HP LaserJet toner cartridge is designed for trouble-free printing and convenient, free recycling through the HP Planet Partners program. It has smart printing technology. HP 60XL Black Ink Cartridge is reliable saves time and money, produces crisp text and vibrant images at impressive speeds. It produces high-quality, water- and highlighter-smear resistant prints from plain paper to brochures.